The other day I was walking past a local downtown gym and couldn’t believe my eyes! There was a guy coming out of the door just after working out, and he was lighting up a cigarette. 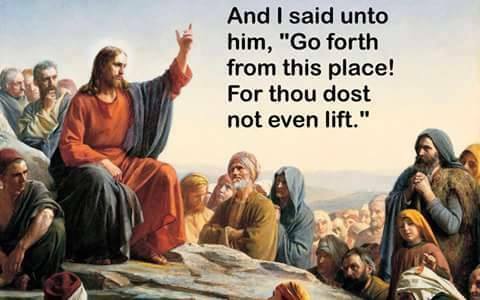 I felt like punching him because it was so sacrilegious. It was obvious that this guy has no commitment, does not care about health, and is training for the wrong reasons, with only mere cosmetic goals. Physical culture is about what you do in the dark. It’s about how hard you train when there is no one to impress. It’s about what you eat, how you think, and what you do on a daily basis. It’s about doing the right thing. I talk to guys all the time who say that they can’t gain weight. Most are wasting their money on every type of powder, pill and “magic” potion, but don’t have enough discipline and common sense to have a big breakfast every day. Some tell me “how hard” they train and they can’t understand why they are getting nowhere. However, some of them neglect to tell me that they are out till 2 am two or three nights per week drinking beer. (I find out about this sooner or later.) Some complain that they can’t reduce their bodyfat no matter what they do. Their genetics are bad, they say, or their “metabolism is too low.” But they are only doing cardiovascular exercise once or twice a week, if at all. Unless you are a competitive strength athlete, e.g., shot putter or discus thrower, three times per week is the minimum for CV work. If you have a lot of extra fat you should be doing CV work four or five days per week. The duration for the CV work should be at least 20 minutes at target heart rate, or 30 minutes of total time as the warmup and cooldown parts don’t count. And at least 30 minutes of target heart rate work would be wise for most. Why aim for the minimum? At least 45-60 minutes at target heart rate would be recommended for people with a lot of excess fat. Target heart rate for fat burning is about 70% (200 minus your age). These recommendations are not just my opinions. They are those of the American College of Sports Medicine. 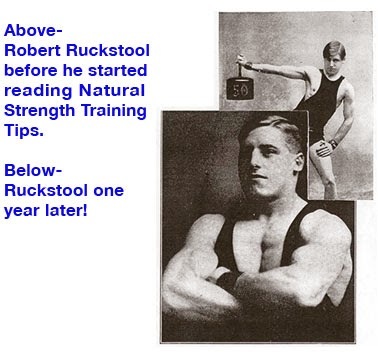 There is a lot of nonsense in “muscle magazines” about strength training, nutrition and cardiovascular exercise. 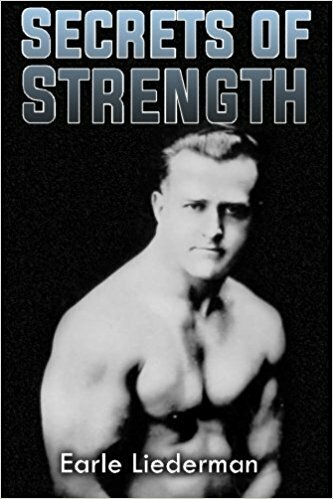 Just because a drug-using bodybuilder with no academic background in exercise or nutrition writes that he trains with weights three hours per day, six days per week, and does CV training twice per week, does that mean that you should also train incorrectly? Before accepting information as fact, check the source. If you want to be put in a coffin sooner, then follow some of the high fat and other ridiculous diets that are currently in style. Scrutinize any nutritional advice not given by a Registered Dietician, and don’t easily accept anything as fact. Anything that sounds suspicious you must get checked out by a good Registered Dietician who works with athletes and understands their nutritional demands. Nancy Clark is an example of the sort of Registered Dietician I mean. Commitment is about self-control, self-respect, hard work, and a desire for the truth, not the latest trend. Commitment is trying to do the right thing all the time. You do it for yourself, not to impress others. It is a way of life or a sacred belief. Total lifestyle commitment is what it takes to maximize your potential. It’s not training only for cosmetics where the end justifies the means. If you focus on doing the right thing and making the right choices, every day, cosmetic results as well as good health and muscular strength will be yours. Over the phone I ask several lifestyle questions, and if they are not answered properly, then it’s, “Take a hike, pal, call someone else. Don’t waste my time.” Many people talk a good game but when it gets down to details they are not really dedicated. If they smoke (or use any type of tobacco product), use steroids or any drugs, abuse alcohol, don’t do cardiovascular training or stretching, and if their primary reason for training is cosmetic, not functional, they are nothing but phonies. I actually have my own version of The Ten Commanments complete with “Thou shalts” and “Thou shalt nots.” They must be followed. 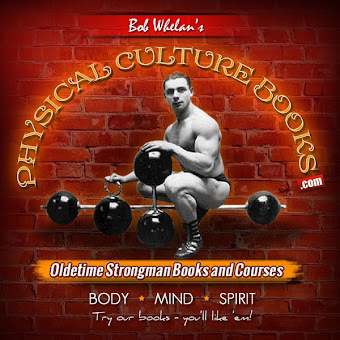 I’m not just looking for clients, but physical culture disciples. There is a big difference. I want true believers. Lack of true belief in a program, or lack of a training philosophy, is one of the biggest problems with most so-called “personal trainers.” There are some good “personal trainers,” but the vast majority are unqualified, uncommitted leaches who say anything to steal your money. I’m embarrassed to call myself a personal trainer. I’m a coach. Most personal trainers will do what you want and say what you want to hear, to get your money. I believe that most personal trainers are nothing more than “fitness prostitutes.” A coach has a philosophy and sticks to this philosophy regardless if you sign up as a client or not. Toning and shaping, and similar words, are swear words in my program. You train only for strength. If you consistently train hard, heavy and correctly you will reap your just share of cosmetic results. But it’s not the focus. You don’t dwell on it. You dwell on training hard. You get what you earn. If you are interviewed for a job, you don’t ask about when you are going to get paid, or talk about how you are going to spend your money. You talk about doing a good job. That’s how you will get hired. Focus on doing a good job; the pay comes later. It’s the same principle with strength training. If you are trying to gain muscular weight, you must eat a big breakfast every day. No excuses! Nutrition is about absorption. We already lose about 12 hours per day of our potential daily nutrition—between dinner and breakfast, from about 6 pm to 6 am depending on the individual. That is if you eat breakfast. If you don’t eat breakfast, you may spend as much as 18 hours out of every 24 with no nutrition. What law says you must have cereal for breakfast? I know some high-caliber athletes who eat chicken, vegetables, salad, potatoes, etc., for breakfast. Who says that you can’t? Champions look to find an edge. Champions don’t want to be normal. Have you ever thought of setting your alarm for 2 am and getting up for an extra meal? Most “normal” people would never do that. A champion will do it. For lunch, do you regularly eat sandwiches or do you eat a big knife-and-fork type meal? For most people it wouldn’t matter, but if you are trying to gain muscle it could make all the difference. A cafeteria-style knife-and-fork type meal with salad, vegetables, potatoes or rice, and meat, fish or chicken is far more beneficial for gaining muscle than is a simple sandwich-type lunch. You need 5-9 portions of fruits and vegetables per day. It’s hard to fit that bill by wasting a meal on sandwiches. Use sandwiches as your snacks between meals. If you are trying to gain muscle, do you eat two cans of tuna packed in water per day in between your meals? Not as meals but in between them. If you are dedicated and committed you’ll do it. You can use chicken or turkey if you get sick of tuna. You could drink half a gallon of skim milk per day instead of the tuna in between meals. Don’t waste your money on powders and amino acids. You don’t need them, but you will still get plenty of protein simply by using the natural supplement of regular food as I have just described. You will not only be getting enough protein, you will be wasting a lot. Have you ever made an appointment with a good Registered Dietician? Most people don’t do it and amazingly would never even think of it. But yet they will trust their nutritional health to a minimum-wage clerk who works in the health food store, or a drug-using bodybuilder. Many people are not willing to go the extra mile because they don’t want to stand out. They feel more comfortable blending in with the crowd. I tell people, “You don’t want to be normal. You want to be far better than that.” You should think of things to do that most “normal” people don’t do. Unusual dedication is not normal, but is required to maximize your potential. Obviously you should not overtrain, and the mega-hype routines don’t work for non-drug users. However, two hard workouts per week or two hard workouts per nine days should provide sufficient rest. Do you spend more time talking about overtraining and not enough time training? This is a common problem these days. Many people have no idea what a hard workout is like and at the slightest bit of fatigue or discomfort will quit. Incredibly, many underachievers claim to need 7-10 days between their workout days when they are really ready following three or four days of rest. Their muscles have begun to atrophy by the time they do their next workout. Injuries are a serious subject and I don’t mean to downplay this. There is a difference, however, between a rational concern for safety and a fear or paranoia concerning injuries. This is a mental toughness issue. A sharp pain is an injury and should be medically checked out. A dull muscular ache is normal. It’s part of training hard. Many will consider the slightest minor ache to be an injury and use it as an excuse to take a few weeks off. The truth is that many of these people have a deep dislike for hard training but won’t admit it. Do you religiously train hard or do you go through the motions? Need motivation? 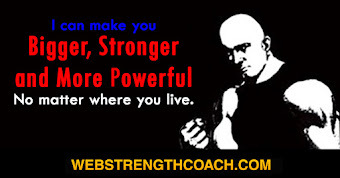 Get a training partner. Can’t find one? Put an ad in the paper. Do you do the basic exercises or make excuses why you can’t? Do you bring each set other than warmups to complete muscular failure where another repetition would be absolutely impossible? 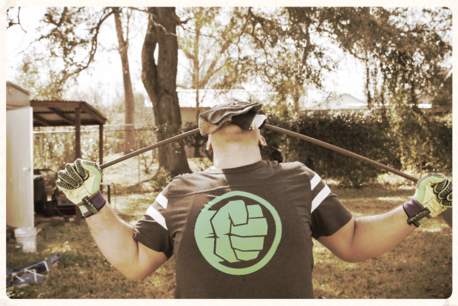 If you had a gun put to your head, could you do one more rep? I’m tired of former drug addicts and criminals who are glorified because they have changed and are rehabilitated. The real heroes and champions of life are the ones who never did the drugs and never got in trouble. They did the right thing consistently. A champion is not the reformed steroid user either. Real champions would never dream of using drugs. 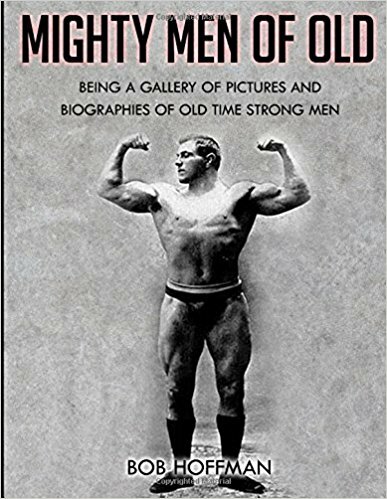 Take down the pictures of steroid users from your gym walls and replace them with pictures of the old-timers or anyone that you could bet your life never took drugs. Have no respect for any drug user. If you say that you’re against drugs, then you can’t give drug users a place of honor and respect in your life. True champions are committed to maximize their mental, physical and spiritual potential. They do their best to eat right, train hard, get enough rest, do CV training and stretching, and be totally committed to a healthy lifestyle. Forget the garbage about living the lifestyle of a competitive bodybuilder. Just focus on getting as strong and healthy as you can. 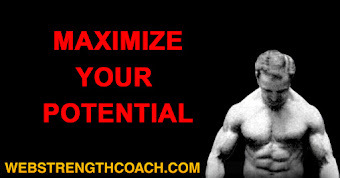 Maximize your physical potential! Champions are people who do the best they can day after day after day. They have a philosophy and they don’t just believe in it; they live by it. Ken Mannie is the Head Strength/Conditioning Coach at Michigan State University. All of this material can be extremely helpful to anyone interested in structuring a high school or college program. The following suggestions on quality control have proved successful with both individual athletes and teams, and have helped us gain acceptance and support for the program from parents, administrators, and other coaches. You owe it to your athletes to provide the safest training methods available. While every phase of athletics involves a certain amount of risk, we are obligated to avoid needless, inherently dangerous training methods. This may require a little homework on your part, but will be time well spent. Strength training is important for all athletes, not just a chosen few or those who happen to enjoy it. If for no other reason than the fact that strength protects against injury, such training should become the rule rather than the exception. When people ask me to name the most critical factor in the success of a program, I answer with one word - compliance. During my years as a high school coach, I felt that it was vital to sell the importance of the program to our administration, staff, and parents as well as to keep them abreast of our progress. Once these individuals have a better understanding of what you are trying to accomplish, you can stimulate their enthusiasm and win their much needed support. (the moms love that one), etc. Before too long, you will have many of these people asking you what they can do to help your program. Since your players are the ones being discussed in this newsletter, it also provides another means of motivating them. Recognizing these young people for their efforts heightens their self-esteem and breeds pride in the team and the program. Administrators and coaches of the other sports will usually appreciate the information, as you may, in fact, make believers out of the skeptics of strength training. Since many high school athletes participate in more than one sport, everyone will benefit from the fact that athletes now have the opportunity to strength-train on a year-round basis. Your entire coaching staff should be well-versed on the practical application of your program, and should also be capable of providing hands-on assistance in the training sessions. To accomplish this, you will have to meet with them and discuss the X's and O's of the program. You will have to trouble-shoot your potential problems as a staff before presenting the program to the players. If you approach the program with the same organization and effort that you approach practice, you will achieve better results and evoke more enthusiasm for your program. Remember, never leave your athletes unattended in the weight room. A qualified individual (preferably a full-time coach) should be present on the floor at all times. Research proves that the best results are obtained from a work week consisting of three non-consecutive lifting days. We suggest total body workouts on these days, utilizing a variety of exercises which stimulate the major muscle groups through the fullest range of motion safely possible. The workouts should be designed so that they can be completed in an hour or less. If your athletes are truly working with purpose and intensity, they should have no problem achieving this. When heavy running workouts begin, you may occasionally consider eliminating the lower body work on the middle training day. This is a judgement call on your part, based on how you feel the players are performing, and it can also help prevent overtraining, especially when heavy sprint workouts begin. Some strength-training programs revolve around three to five core lifts and what are sometimes termed auxiliary exercises. This terminology sends a message to the participants: that core exercises are important and auxiliary exercises "not so important." We do not believe that there is any "Big 3" or "Big 5" workout that can per se adequately prepare an athlete for the rigors of competition. While this approach may be fine for an individual who competes solely in weigthlifting events, the athletes in other sports need much more balanced development in all of the agonist and antagonist structures in the muscular system. A severe imbalance, or "weak link", can pre dispose the athlete to muscle or connective tissue injury. As a rule, a workout should account for the following muscle complexes in just about every workout, or at least twice by the end of the training week: neck, quadriceps, hamstrings, gluteals, lower back, calves, chest, shoulders, upper back, biceps, triceps, forearms, and abdominals. This type of comprehensive approach will assure balanced development and better prepare the athletes for the physical stresses of competition. We suggest the incorporation of as much variety in the training sessions as time, space, equipment, and imagination will allow. Whether or not you choose to change the exercise, tools, or order of the exercises from workout to workout, you should try to keep things fresh and challenging. Strength training is hard work, but it should never be boring. In our workouts, we provide choices and variety without deviating from basic principles. Effective strength training requires progression, and indications of this must be recorded. There are numerous overload systems to choose from and most of them work very well. Our primary overload plan is known as "double progression." It is a simple but extremely productive concept. We set a rep range for all of our exercises - the lower body ranges are usually 8-1 0 or 10-15 and upper body ranges usually 6-10. An athlete will initially find a weight that will allow him to work in the lower end of the range and to work to attain the high end of the range. 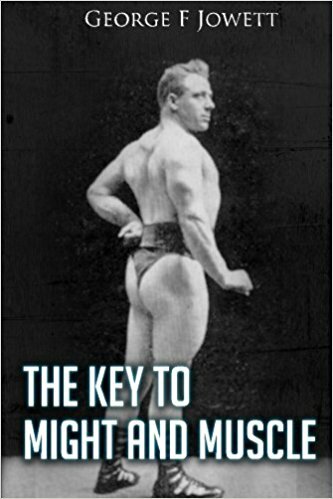 Once the high end of the range is accomplished, the weight for that particular exercise should be increased. can be as low as 2.5 lbs. and as high as 10 lbs., depending on the exercise and the muscle groups being worked. Basically, our upper body increments are between 2.5 and 5 lbs., and our lower body increments between 5 and 10 lbs. This system allows each athlete to progress at his own rate while at the same time challenging him to make steady improvements. How many sets should I do? Probably no question is asked more often in the weight room. The answer usually ranges between one and five, depending on whom you ask. We can only offer our suggestions, based on our research and practical experience. 1. Sets should be limited - one to three sets of any exercise performed with the appropriate intensity is enough to stimulate gains in size and strength. Our sets vary from one to three, and they are not always back to back in exercise order. For the most part, we would rather use two or three different exercises for a particular muscle group than to perform two or three sets of the same exercise. 2. Rather than perform more sets, we emphasize performing more work within the set. In most of our exercises, we have the athletes use the heaviest weight possible for each set and perform the maximum number of reps with proper form. The above guidelines for program organization merely represent a general overview of considerations for the coach who is planning an off-season strength program. The list is by no means all-inclusive, as each coach has his own personality and philosophy. Our hope is that we've given you some helpful information to initiate a successful program. Good luck!